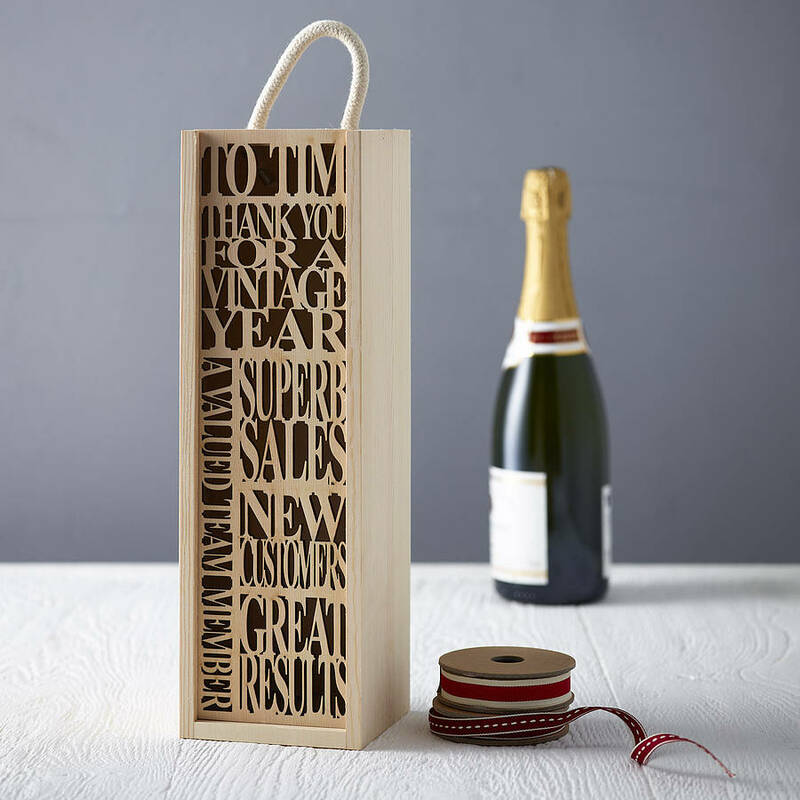 Celebrate in style with our personalised Bottle Box! 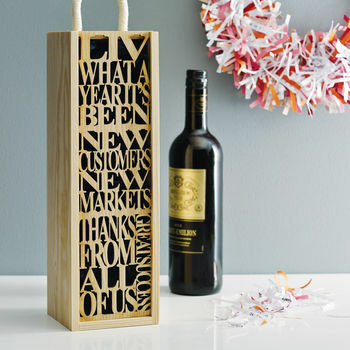 An ideal way to say thank you or congratulations! Each personalised bottle box is designed and lasercut especially for you. Don't worry about the order that you enter your words, we will order them, make sure that they fit and ensure that they look great too. To place your order simply enter the required information into the personalisation boxes. Should you wish to order more than a single bottle box you will receive a discount per box. Click the first quantity drop down option to select how many boxes you will be ordering, then please ensure you enter the exact quantiy you require when placing in your basket. This number should match the selection in the first drop down menu. If you need assistance when placing your order, please get in touch using the "Ask Seller a Question" and we would be happy to help. We offer personalisation on all orders so you can tailor your gifts to each individual or business you are giving them to. Please note: variations of layout will alter per design, if you require a proof, please contact us specifying this, if not replied to promptly it may delay your order.